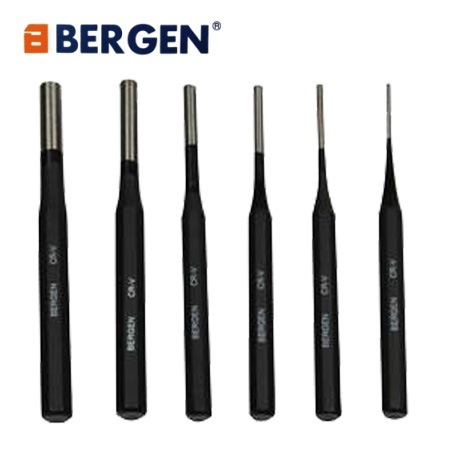 Bergen Tools 7pc punch and chisel set. 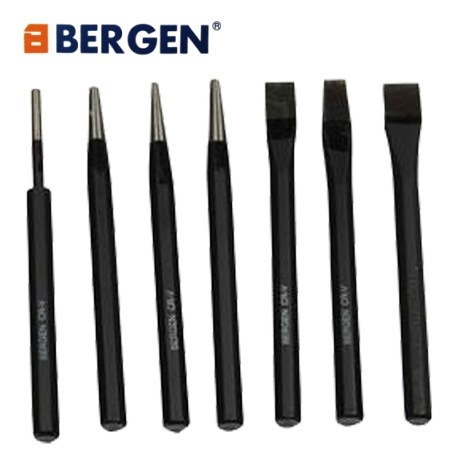 Professionally manufactured punches and chisels, made from Chrome Vanadium with a matt black finish. Fully hardened and tempered hexagonal body construction. The set comprises of 3 cold chisels, 2 taper punches, 1 center punch and 1 pin punch. Length 150mm. 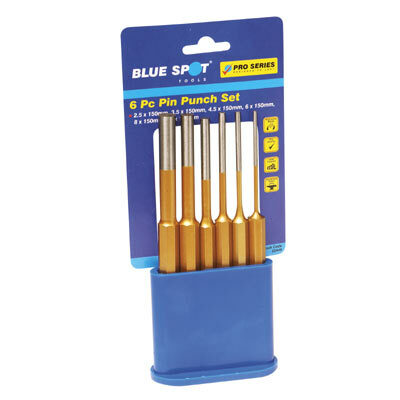 Comes complete with a robust canvas storage roll with velcro strap to protect your punches and chisels when they are not in use (currently red).